Bill O'Reilly: News Quiz - O'Reilly's Current Events Quiz: Have you been Paying Attention? 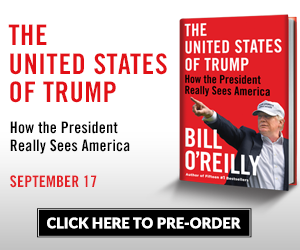 O'Reilly's Current Events Quiz: Have you been Paying Attention? Have you been paying attention to the people and events making headlines this week? Take O'Reilly's Current Events Quiz and see for yourself. 1. Donald Trump held a rally Thursday night where he called for Dems to stop their 'ridiculous bull---'. In which US city was the rally held? 2. Which news anchor took the biggest ratings hit after the Mueller report? 3. In February, approximately how many migrants were detained at the southern border? 4. According to a recent HarrisX Poll, what percentage of respondents said they would consider voting for Trump in 2020? 5. Hatchet man Michael Avenatti was charged with attempting to extort money from which company? 6. Which school recently removed a controversial "Common Language Document" from their website? 7. On March 21, 2019 - Donald Trump signed an executive order that would protect "what" on college campuses? 8. Democratic Minnesota Rep. Ilhan Omar recently spoke at a fundraiser in California. Which organization hosted the fundraiser? 9. What company is currently being petitioned to have their name removed from a football stadium? 10. Actress Alyssa Milano recently urged Hollywood to boycott which US state over the 'heartbeat' abortion bill?